Anesthesiologists. There are no substitutes. It's over. The U.S. Senate has failed to pass any reform to Obamacare tonight. The promises the Republicans made to overturn the ACA ever since it became the law of the land have proven to be illusory. When they finally controlled both ends of Pennsylvania Avenue, they embarrassingly shrank from all their grandiose talk. They meekly succumbed to liberal pressure and lost the number one item on their agenda after the election. But it really isn't that surprising that Obamacare will continue to survive. Throughout these few months of debate, it seemed the only thing that mattered about healthcare in America was how many people would have insurance coverage. Every bill was meticulously reviewed by the Congressional Budget Office and its findings breathlessly announced. No matter how the Republicans tried to ease the phaseout of the ACA, the only thing the news media cared about was how many million fewer people would have health insurance. It was rarely stated that hundreds of counties in the country currently have only one insurance company to choose from because insurance companies were losing money from so few healthy people willing to buy their plans. Little was mentioned of the double digit price increases in premiums that were taking place. And if it was brought up, then the burden was supposed to be eased by increased government subsidy payments to help people pay for the insurance. It was always about more and more government money being used to pay for this "right" to healthcare. 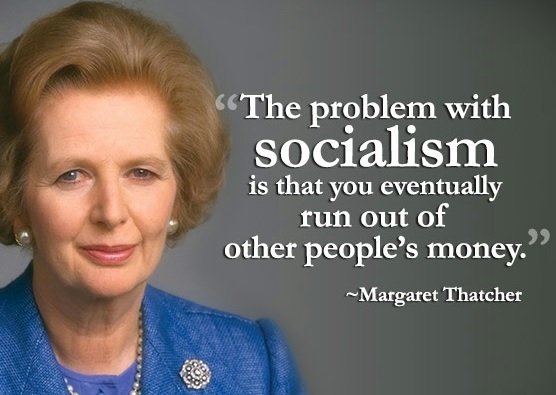 In other words, socialism. There was no debate about how this is ultimately unsustainable and will eventually bankrupt the country. So now we careen headlong into the final solution. Universal socialized healthcare fully funded by taxes to the government is the endgame here. After years of propaganda to convince the American public that the only metric that matters is the number of people with health insurance, they have now fully embraced that notion. Any new healthcare plan that is devised will need to cover the last ten percent or so of the population who still don't have it. Anything less will be seen as unacceptable, no matter how expensive it may be. American medicine as we know it is dead. What Cars Do Doctors Drive? How Hard Is It To Match Into Anesthesiology? The Surprising Answer. Cavities? Blame Nurture, Not Nature - Environmental factors are more important than genetics in determining who gets cavities, a new study reports. Come visit my new store! Stocked with humorous anesthesia related clothing and other merchandise.